PreviewingtheFuture: Peeks into retail’s possible future were presented to a rapt invitation-only audience as Fung Business Intelligence Centre launched its Disruptors Breakfast Series in the United States at The Peacock in New York City, in collaboration with the Entrepreneurs Roundtable Accelerator (ERA). FBIC Executive Director-Head of Global Retail & Technology DeborahWeinswig (second from left) moderated presentations by more than a half-dozen tech entrepreneurs on applications and technologies, from high-end reward programs to coffee payments. FBIC will host a second series of Disruptor Breakfasts in Hong Kong on June 17 and New York City on June 30. 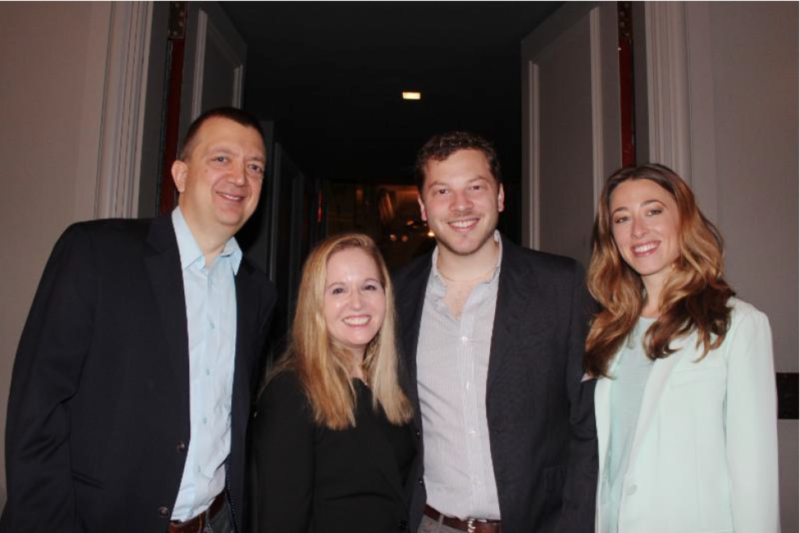 From left: MuratAktihanoglu, Founder and Managing Director of ERA; Weinswig; JeremyHarper, Associate, ERA; and EmilyBell, Program Manager, ERA. Fung Business Intelligence Centre (FBIC) collects and analyses market data on sourcing, supply chains, distribution and retail. It also provides thought leadership on technology and other key issues shaping the future. Since its establishment in 2000, the FBIC (formerly known as the Li & Fung Research Centre) has served as the knowledge bank and think tank for the Fung Group. Through regular research reports and other publications, it makes its market data, impartial analysis and expertise available to businesses, scholars and governments around the world. It also provides advice and consultancy services to colleagues and business partners of the Fung Group on issues related to doing business in China, ranging from market entry and company structure to tax, licensing and other regulatory matters.